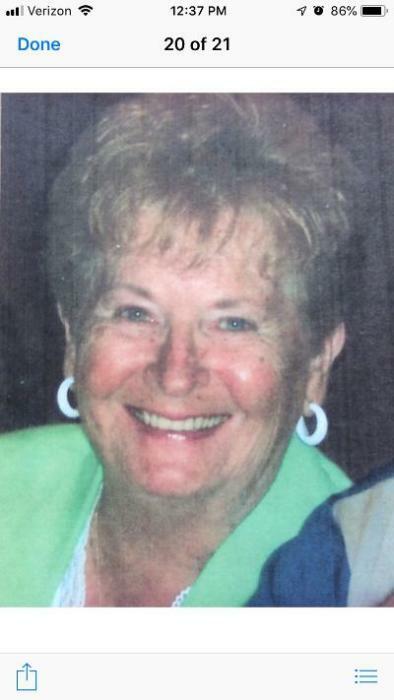 March 16, 2019 Joyce Smith O’Dell, 86 of North Syracuse, NY and Bonita Springs, Fl. was reunited with her loving husband, John Arthur O’Dell in heaven after a short illness. Her family was by her side at the beautiful Joanne’s House at Hope Hospice in Bonita Springs, Fl. Joyce was born in Westmoreland, NY to the late John and Lillian (Spellicy) Smith. She pursued her nursing education at both Albany Medical School and Syracuse University. She was a registered nurse for many years at Marcy State Hospital in Rome, NY. Joyce finished her love of nursing as a school nurse at Allen Road Elementary, in the North Syracuse District, for over 15 years. Joyce enjoyed many years vacationing with her extended family on the St. Lawrence River. After retiring, Joyce and John, her husband of 55 years, enjoyed their winters in Bonita Springs, Fl. Joyce was a member of the American Legion Auxiliary and volunteered at church. She was an avid reader and enjoyed crocheting blankets to donate to local hospitals. She loved cheering on her New York Yankees, Syracuse Orangemen, and her grandchildren’s many sporting events. Joyce is survived by her children Janet Fabian of Central Square, Jeff (Tanya) of Central Square, Jim (Cathy) of Bonita Springs, FL., Judy (Rob) O’Dell-Friedland of South Salem, and Jackie (Ron) Vassallo of Liverpool; 11 grandchildren and 11 great-grandchildren. She was predeceased by her loving husband, John O’Dell in 2009; her daughter Terry O’Dell; her daughter-in-law Dianne (Jeff) O’Dell; her sister Betty Buttenschon and brothers Andrew and Paul Smith.